I sort of want to take back what I said about Mistborn being the biggest recommendation I’ve ever given. 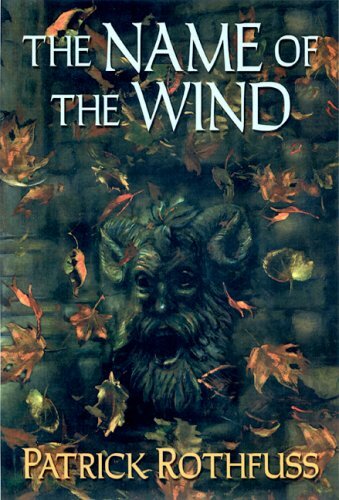 After reading The Name of the Wind, I immediately put it on my list of top 4 favorite books (the others: Ender’s Game, Jurassic Park, Cutting for Stone). I’m not sure how this ended up on my list of books to read, but I was having trouble falling asleep one night this summer and got an email that the e-book was available for me to check out from the library. I meant to just read for half an hour or so. Instead I stayed up for hours. I couldn’t put it down. It was . . . amazing. To roughly summarize, this is the story of Kvothe, who is something of a legend. He’s now living in a small village in obscurity, and most people believe he’s dead. When a man called The Chronicler comes looking for him, Kvothe agrees to tell his story and says it will take three days to tell. The Name of the Wind is the first day. It beautifully combines Kvothe’s first-person narration and “interruption” chapters of what actually happens while The Chronicler is there writing. There’s a fascinating magic-type system, based more on intellect and scholarly study than a normal fantasy magic would be, but there’s also an astounding amount of history built into the world. Legends within legends and that sort of thing. I can’t express enough how much I loved this book. I thought the writing was phenomenal and the story was brilliant. Like the same kind of books as I do? READ THIS!